BENICIA, Calif. -- Contra Costa County CHP officer Thomas Westropp-Bennett is is hailed a hero after saving a man on the Benicia Bridge. 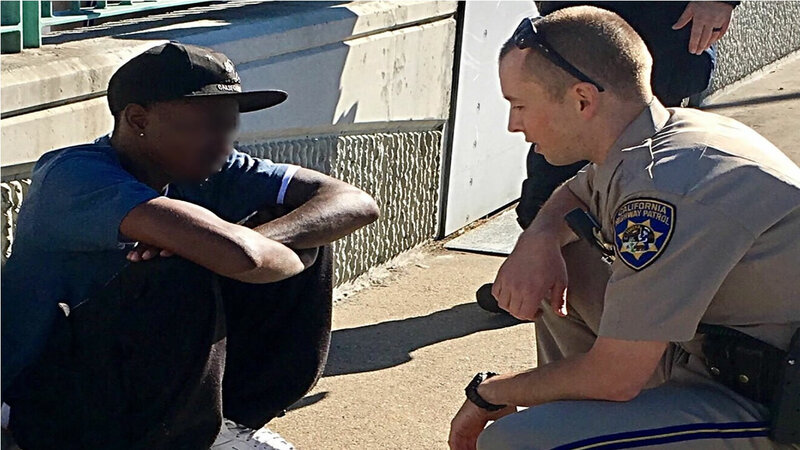 CHP says officers responded to a call of a man who appeared distraught on the ledge of the Benicia Bridge Thursday afternoon. They say he was contemplating suicide by jumping off the bridge and officer Westropp-Bennett began talking to the man, attempting to get him down. Many are calling Westropp-Bennett a hero on social media. The man was taken to a local hospital for treatment.